Add the right food scraps. Do not add meat, dairy, greasy or oily food, pet feces, or too much acidic food. Keeping the carbon-to-nitrogen ratio at least 1:1 or higher – when in doubt, add more paper. Regulating the worm bin temperature between 59° – 86° Fahrenheit or 15° – 30° Celsius. Always remember that worms like the same temperatures as humans. Make sure your worms are always comfortable. Provide sufficient bedding and keep it always moist (but not too moist!!!). When I first started my worm farming odyssey, I learned the hard way through a series of trial and error. I hope you can forgive me. As a male, I’m not hard-wired to read the manual until something goes wrong. Here’s a list of the most common worm farm problems and possible solutions to resolve them. All of which I wish I knew when I first started worm farming. Worms will try to migrate to cooler spots in the worm farm such as the base when it starts to get too hot. This worm farm problem is a real challenge in the Summer heat. When your worm bin starts to get too hot, your worms will migrate to cooler areas (or trays). They will also eat less food and slow down reproduction. Worms will likely suffer and die if temperatures exceed 95° Fahrenheit or 35° Celsius. On hot days freeze a water bottle, wrap it in some newspaper and bury it deep in your worm farm. Place your worm bin so that it is not in direct sunlight (e.g. under a tree). Limit exposure to the sun when its impact is most strong (morning or afternoon). Also try setting up some shade cloth for sun protection. Cover the worm bin with light-colored materials such as second-hand carpet. You can also build a custom cover for your worm bin (e.g. a polystyrene box that you can place your worm bin in). Move the worm bin to a cooler place such as indoors. Be mindful that many garages exceed 95° Fahrenheit or 35° Celsius. Keep the bedding moist. Be careful not add too much water as this can boil them. Soggy bedding can heat up much more than dryer bedding. Use a watering can or spray bottle to keep the bedding wet. Don’t put too much food scraps in the worm bin. Excess food will decompose and heat up the bin. A low carbon to nitrogen ratio increases the temperature in the worm bin. Add some more carbon to offset the nitrogen (e.g. cardboard, shredded paper, eggs cartons etc…). 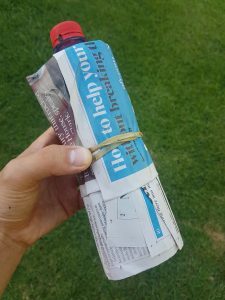 On hot days freeze a bottle of water, wrap it in some newspaper and bury it deep in your worm farm to create a cool zone. Replace the bottle as it defrosts. You can also try adding a large ice block on top. The worms will congregate upstairs to stay cool. The ice block should take several hours to melt completely. Drape a damp cloth or hessian over worm farm so it acts as evaporate cooling. Paint your worm farm a light color so it reflects more heat. Apply lots of bedding respite (mix in some compost with worm castings). Extra bedding will act as an insulator against extreme temperatures and offer protection. 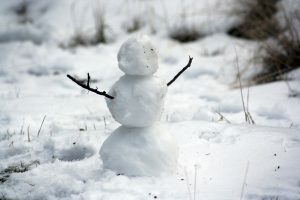 In extreme conditions, worms like humans will not survive the cold. If your worms are too cold, they will crawl a lot and eventually mass together in a ball to keep warm. The worms will also eat less food and slow down reproduction. If conditions get too cold, your worms may go into a bit of a survival mode, causing them to reproduce in a hurry. In extreme cold (i.e. 40° Fahrenheit or 4° Celsius), your worms will likely perish. Adding in more nitrogen will increase the temperature. Feed your worms foods that are higher nitrogen, this will generate more heat as it breaks down. This means fewer fruits and more legumes and vegetables. Insulate the worm bin, wrap it in wool, cardboard, fabric etc…, to trap the heat in. Be careful not to wrap too tight restricting ventilation. Too much moisture can drown your worms. The bedding in your worm bin should be as moist as a wrung-out sponge. If you can squeeze water out of a fistful of bedding, or if you see puddles, then your worm bin is too wet. If your worm bin becomes too wet, it can become anaerobic (meaning no oxygen) with rotting food and produce a foul odour. 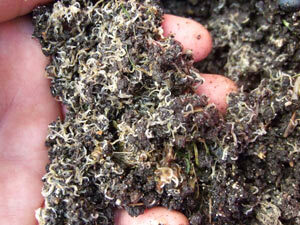 Worms will naturally aerate the compost. 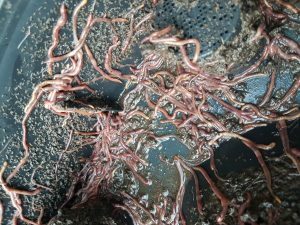 If your worms are becoming pale in color, or are skinny rather than nice and fat and healthy, your worm farm moisture levels are probably too high. Add some fresh dry bedding material such as straw and paper. This will soak up some of the moisture. Make sure you are not over-feeding the worms as this can cause excess moisture. Stop adding food for a bit so the bin can dry out a bit more. Reduce food scraps that are high in water content (e.g. cucumber and lettuce are 96% water). Worms need moisture to breathe. If a worm bin is too dry, they will suffocate. All worms breathe through their skin. 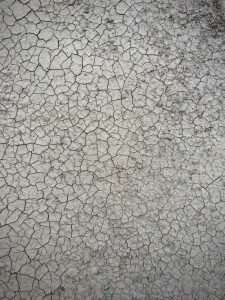 If a worm’s skin dries out, they will die. If your worm farm isn’t producing any worm tea, then it’s a sign that the moisture level is going the other way. An ant infestation is usually a sign that your worm bin bedding is too dry. Another common worm farm problem is acidity. A good worm farm should smell earthy. If your worm bin smells rotten and vinegary, then it’s most likely that your worm bin is too acidic. Correct pH levels help worms to digest larger quantities of food waste. Worms are quite tolerant of acidic conditions. pH, the potential of hydrogen, is a numeric scale between 0 and 14 used to specify acidity or alkalinity. 7 is neutral where lower values are more acid and higher values more alkaline. For example, lemon juice is at pH 2, pure water is neutral and seawater is at pH 8. A good pH level for a worm farm is between 6 and 7. Some foods are more acidic than others (e.g. citrus fruits). Acidity is also produced through microbial fermentation. Excess amounts of acidic fruits, such as oranges, can contribute to a worm farm with low pH levels. If your worms become deformed, discolored or dismembered, they may have protein poisoning (also known as sour crop or string-of-pearls). Protein poisoning is a direct result of overfeeding which creates a toxic environment. Add pH neutral minerals such crushed eggshells, garden soil, dolomite, and crushed lime. 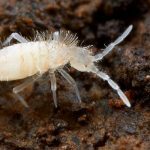 There are some worm farm conditioner products you can buy. Sprinkle a light even coating of powder across the top surface of your worm bin. This will help to neutralize and balance the pH levels. Get some clean air to your worms. Gently aerate the bedding by lifting and turning it. If there is excess food waste, then it will decompose and create a toxic environment. Remove any uneaten food which may be fermenting in the worm bin. 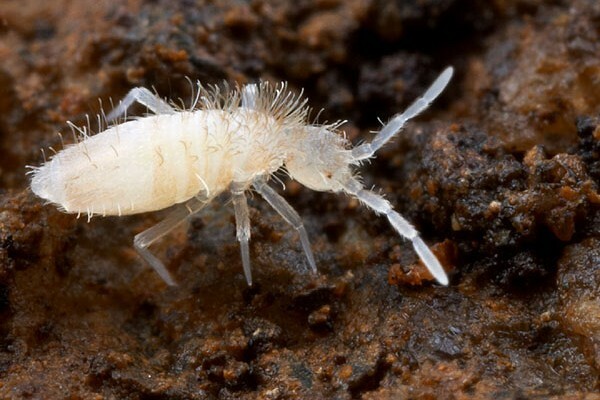 While some pests can become a big worm farm problem, many other inhabitants are harmless. Most pests pose no threat unless their population spirals too high. The most effective prevention is to ensure your worm bin is well maintained. And make sure the worm bin lid is securely on to keep the pests out! 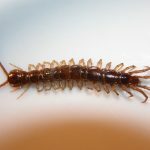 Remove Centipedes found in a worm farm by hand. 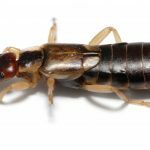 Earwigs are harmless in a worm farm. Leave them there. I hate Fruit Flies in a worm bin. Whenever I open the lid they whack me in the face! Make sure you cover up your food with some bedding. Try cutting back on water, food and reduce acidity in the worm bin to get rid of Mites. 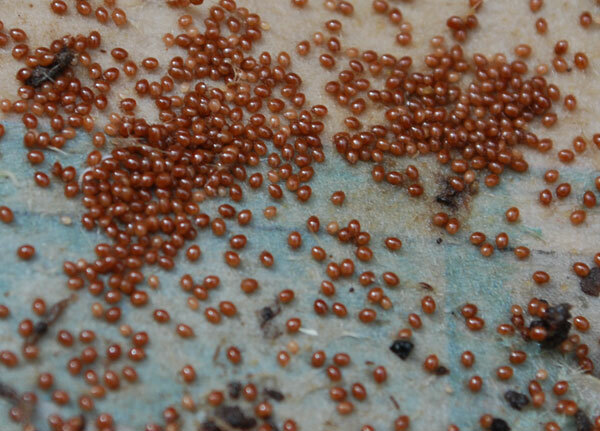 Add some bread soaked in milk to catch Potworms in a worm farm. Fruit flies – Cover fruit with some bedding. Try custom traps to reduce the population. Wash produce before consumption to remove eggs. Try microwaving or freezing food waste before adding it to the worm bin (letting the food waste return to room temperature of course). Slugs, snails, centipedes – Remove by hand. 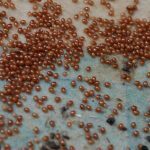 Ants – Ants are a sign that your worm bin is not moist enough. A good splash of water usually fixes it. Do not use insecticide. If your worm bin is on legs, place each leg in a dish of water to stop the ants getting in. Try sprinkling ground cinnamon wherever the ants are. You can also move the worm bin somewhere else. 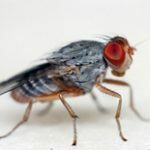 Blowflies & house flies – Do not add any meat, greasy food waste, or pet feces as feed. 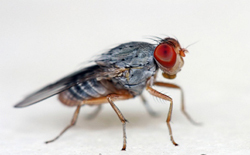 A well maintained worm farm should not stink, which is what attracts flies. 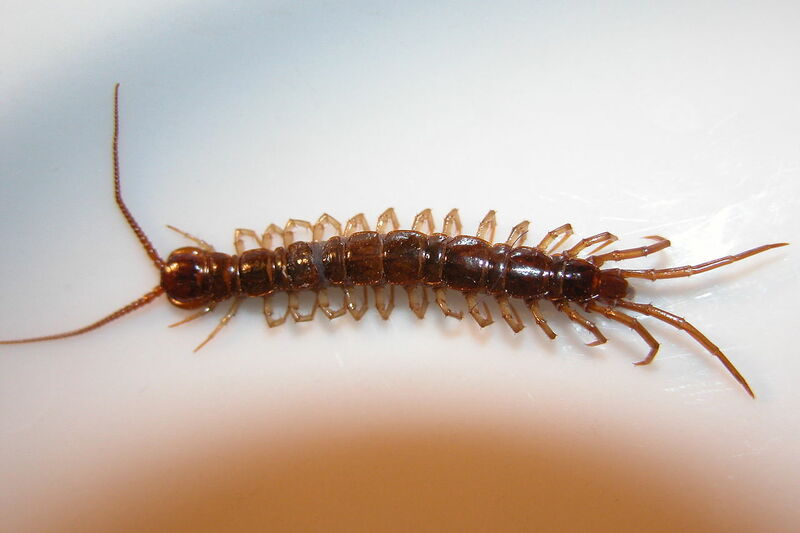 Earwigs, beetles, millipedes, soldier flies, sow bugs & pill bugs – Do not worry about these – they are harmless. 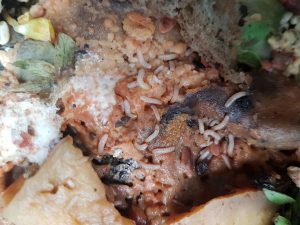 Maggots or larvae – Eggs are laid on the surface of nitrogen rich material. Cover and bury nitrogen rich food waste. Add leaves, dry grass and shredded paper on top. Try putting a window screen over any holes in the bin. Land planarian flat worms – Will attack your worms by the masses and reproduce quickly. Remove immediately and check your worm bin at least twice a day for others. Hi, all my worms got cooked on that 47 degree day. I’ve added the top tray to the compost bin. The bottom tray was almost ready – I was just waiting till the top tray got full. Can I just add more worms to the existing two trays? Or do I need to completely start again? Worms move around between the trays. For example, on hot days, they will look for cooler areas. They will also move to where the food source is. So it doesn’t really matter which tray you add your worms to. But I always add them to the “working” tray – the top tray. On extreme days, you should move your bin inside temporarily. If you have a lot of worms perish under extreme heat, take note that your dwindling worm population should recover ok. Worms are very resilient. My daughter gave me her worm farm as she was moving. I don’t think she has looked after it properly as the bottom tray from what I can gather should just have water, this one has what looks like wet castings it also has worms in it. What should I do? With a tray system, it is perfectly normal for castings to fall through to the bottom tray. You just need to clean it every few months to avoid any drainage blockages. Your worms may venture down below occasionally. That’s ok. Remember to drain any excess liquid as worms can drown. I keep my spigot (tap) open. How do the worms get back up. I found lots of casting and worms in the bottom try and spent ages trying to save them as I thought they would drown. A lot of commercial worm farms have a “ladder” or “slope” in the bottom tray so that the worms can climb back up. Some people add a layer of cardboard or mesh to stop the worms venturing down below. But I wouldn’t worry about the worms in the bottom tray. Just ensure the spigot is open to ensure any excess liquid drains and you should be right. The worms will gradually move up to the top trays to feed. Don’t sweat it! I don’t do any of the above. I feed too much, I add dog faeces, I add onion waste , I don’t cool the farm, I don’t need to warm it, I don’t ensure it’s too wet or too dry. Sometimes I get die offs but they always rebound. I’ve had the farm for nearly 20 years and it’s the simplest thing. Don’t overthink it! And don’t, whatever you do, think you have to worry about it! Worms are quite tolerant and resilient. You’re right, there’s no need to overthink things. 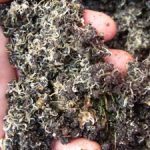 But there are some simple things you can check and fix to help ensure your worms continue to thrive. It does not take much effort at all. For example, every Summer I move my worm farm inside. This is an easy way to help regulate the worm bin temperature. I don’t measure the pH acidity or check the moisture level in the bin of the bedding unless I notice something odd. I agree, if you have a die off, they will bounce back. When conditions become extreme, worms will fast track reproduction to ensure the survival of their species. And when conditions improve, the worm cocoons will hatch.